Butte, Montana is a great place. I don't care what anyone says. 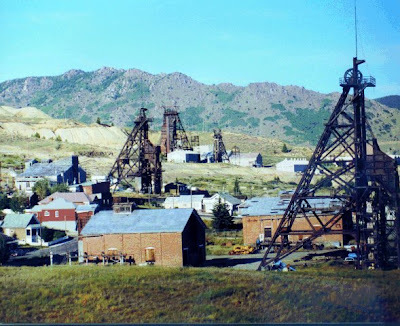 I lived in Butte from first through third grades and attend Whittier Elementary. My mother and I attended the First Assembly of God church there. 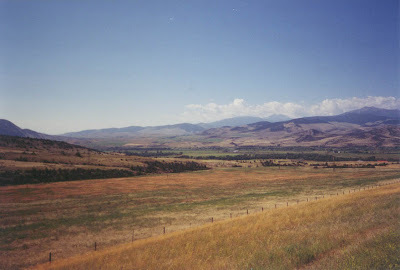 We moved to Whitehall, MT, just over the Continental Divide when I was ten and starting fourth grade. We bought an 80 acre farm and raised hay for sale mostly to folks who owned horses. It was the finest alfalfa in Jefferson County. I lived in Whitehall on the farm through my first two years of college. As I look back on it now it was an enchanted childhood. We ate fresh from the garden had five or so head of cattle for beef, and it was the most beautiful setting you can imagine in the foothills of the Tobacco Root Mountains. I even had my own Shetland pony, Petonia. I attended Whitehall schools from fourth through ninth grade. We also attended the Jefferson Valley Baptist Church. When we attended it was affiliated with the Southern Baptist Convention. Preachers would come from Tennessee, Mississippi, and Alabama and try their hand at converting Montanans to the true way. It was a bit of a challenge, particularly the 20-30 below zero winters. We went through several preachers. I loved going to church. I read my Bible cover to cover at the age of ten and knew all the books of the Bible by memory. I was an expert at the "sword drills" in which we competed to find a particular chapter and verse. My mother played the organ. She learned the Bible inside and out and often taught Sunday School (if, of course, there were no men around). She knew the content of the Bible more than most, if not all, of the preachers. At the age of 12, my sins were again heavy on my soul, and during one of the worship services in which my father attended, I went forward during yet another chorus of "Just As I Am" and my father and mother followed me. I am still impressed with my father who did that for the sake of his family. The preacher came out to visit us and thought it would be a swell idea if we all got baptized again in the big tank. So we did. One of my favorite preachers at the church was Alvin Petty who came from Texas. He was six foot seven and was a mild and kind as you could imagine. He would visit us on our farm and pole vault the irrigation ditch. My brother (ten years older than I) and his lovely wife lived in a mobile home behind the main house. He had a fiberglass pole vaulting pole. You couldn't jump the ditch without the pole. Preacher Petty gave it a try and fell in the mud every time. He was awesome! Don't trust any preacher who isn't willing to fall in the mud again and again. My brother's wife is Native American. She comes from a large family and her younger sisters who were about my age used to visit the farm in Whitehall. I always looked forward to seeing them. We would play and flirt and have a great time. I learned from them about prejudice against "Indians." I didn't really know what to make of it at the time, but I often found myself offended and on occasion challenging my classmates who made Indian jokes. I loved the farm. Had my own Honda 90 and rode it all over. I changed sprinklers, bucked bales, did the chores, and dreamed (oddly enough) of living in the city. Since I spent a lot of time by myself, I read a lot and I pretended a lot. I did very well in school, at the top of my class. My father and I became close through chess. He taught me how to play at a fairly young age and during my teen years we attend chess tournaments in Montana and we would venture as far as Spokane, Seattle, and even to California to play in tournaments. I still play with him when we get together. If any is interested in playing, I would love to play. Here is my USCF (United States Chess Federation) rating. I am still known as "Andy" in the chess world. My father also loved handball. When we constructed a hayshed on our farm he also had a regulation-sized handball court built. It was quite a site to see a forty foot long, twenty foot high, and twenty food wide handball court on a farm. We would play handball and now and then would stoop to playing racquetball. It was probably around the age of 12 that I began to have doubts about religion. As much as I loved the stories of the Bible, I didn't really understand why only Christians were going to heaven and why the world was so crappy that Jesus had to come again and save us in the Rapture. I knew about evolution at a young age and cosmology and what I was hearing in church didn't fit. When I was in ninth grade or so, I found myself involved in the "wrong crowd." I learned to smoke cigarettes and other substances. While my parents didn't know the details, they knew something was going on and switched me to another school. I commuted with my father each morning to Butte Central which was (and still is) a Catholic high school. I graduated from there in 1980. On to college the next time around! Oh, come on, green-headed guy. This isn't about you. Maybe I should write "rapture" somewhere in every post and see if you will comment. It is a deal! I do look forward to meeting you sometime! "Don't trust any preacher who isn't willing to fall in the mud again and again." Truer words were never spoken. Amen to that!